The music is always present, you just have to hear it. 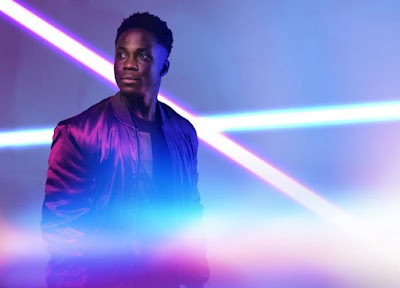 Actor, rapper, singer and rising star Kema Sikazwe, (Kema Kay), makes his powerful stage debut with Shine, a show which he has both written and will perform, mixing his own bittersweet coming of age story with an electrifying live soundtrack and heartfelt words. 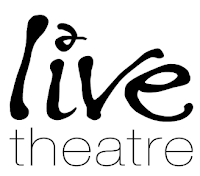 Shine, named after Kema whose name means One who shines in Gambian, premieres at Live Theatre, Newcastle from Thursday 2 to Saturday 11 May before transferring to the Traverse Theatre, Edinburgh from Thursday 16 to Saturday 18 May. This brand new play explores, through Kema’s words, songs and stories - What makes us who we are? Do the choices in our lives determine who we become? Are we in control of our own story, or is it in our DNA? Kema is three years old when his family move from Zambia to Newcastle’s West End. It’s not easy. It starts with a story of new surroundings, about making a new life, and then watching that life fall apart. About growing up in a world that doesn’t always accept you, but gaining self-belief, trusting your head, your heart and always chasing your dreams. Kema, now 25, developed a passion for rap, singing and song writing at a local youth project, the Chat Trust, in Arthur’s Hill, Newcastle where he spent most of his time as a teen. In his early 20s Kema landed the role of Daniel Blake’s neighbour China, in Ken Loach’s film I, Daniel Blake after going for an open audition as an extra. Filmed on location in Newcastle the hard-hitting film won the Palme D’or for Best Film at the Cannes Film Festival in 2016, a BAFTA Award for Outstanding British Film in 2017, and many other awards. Kema has also appeared in the 2017 film version of Lady Macbeth and in TV series Wolfblood and The Dumping Ground (both BCC) and Beowulf and Vera (ITV). He also works with young people encouraging them in music, writing and creativity. Eager to learn and extend his acting skills Kema attended theatre regularly and was selected as a Live Theatre Associate Artist in 2017. He tested out some scenes from Shine, getting up on stage in front of a live audience for the first time in Elevator Festival Scratch Night at Live Theatre in 2018. Kema has written over seven new songs for the show and worked on it over the last year, in collaboration with Graeme Thompson, Live Theatre’s Creative Producer who is directing the play. Kema is just starting the final intense rehearsal period to debut Shine. Shine premieres at Live Theatre, Newcastle from Thursday 2 to Saturday 11 May. There is the opportunity to meet writer and performer Kema Sikazwe in a FREE Post Show Talk after the 7.30pm performance on Tuesday 7 May. Two FREE pre-show events at 6pm on Saturday 4 and Saturday 11 May showcase work by local musicians and performers. The talk and showcase are FREE for ticket holders for the show on the same day. To book tickets for the show at Live Theatre which are between £10 and £14, and concessions from £6 call Live Theatre’s Box Office on (0191) 232 1232 or see www.live.org.uk.